Eilagadale was a small settlement some two kilometres to the east of Ockle, approached today along a rough track. 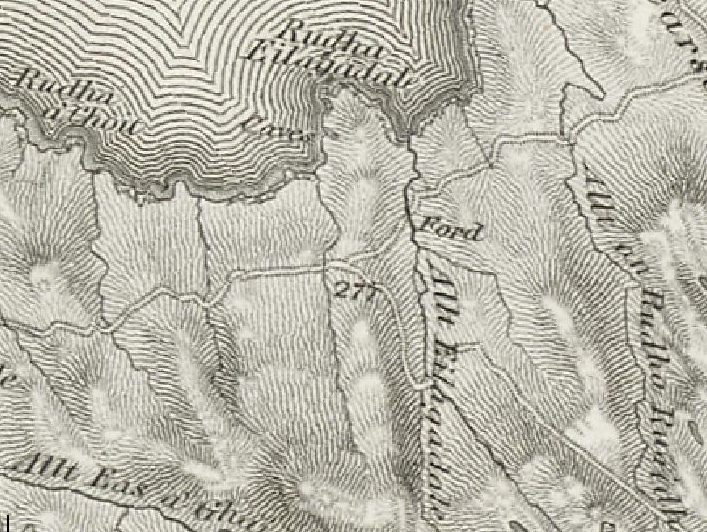 On Bald’s map of 1806, Eilagadale is shown as having three small fields which were part of Ockle. 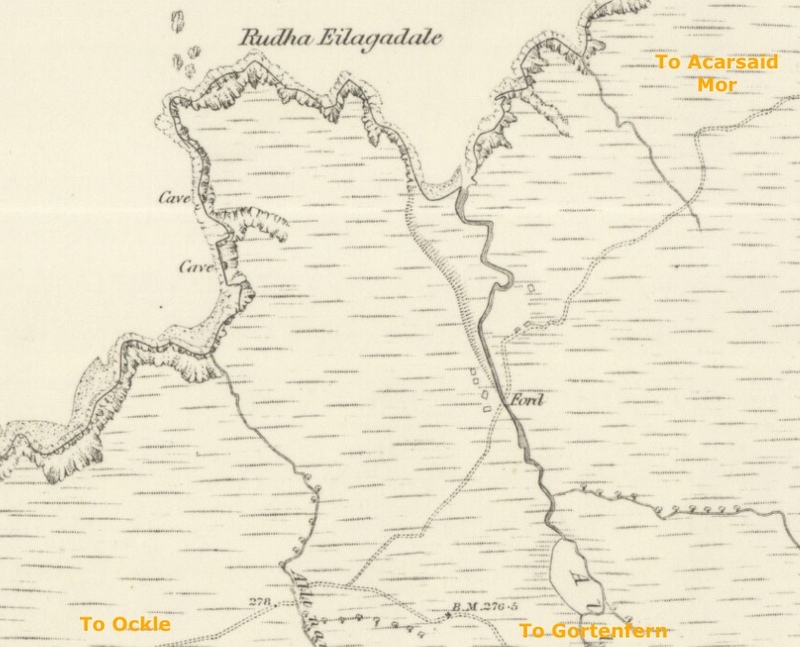 Earlier, both Ockle and Eilagadale were part of Swordlehuel. 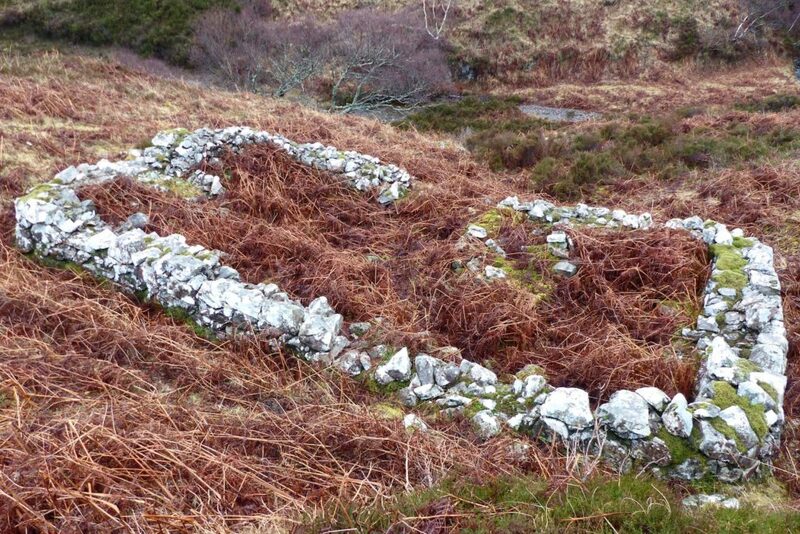 Today, in the steep glen of the Allt Eilagadle near where it reaches the sea, there is a small holiday home along with the remains of three farmsteads. However, they are marked on the 1876 6″ map  – but as unroofed, suggesting that they had already been abandoned. 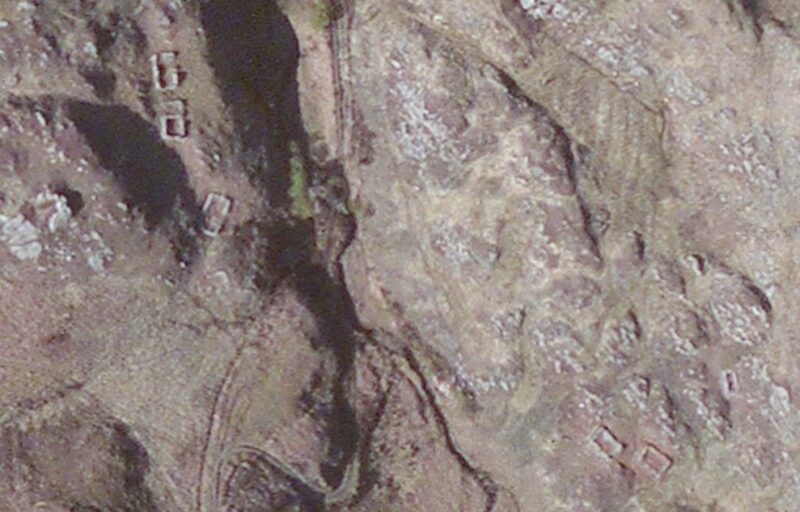 A satellite view  shows them clearly, two to the west of the burn and one to the east. This photograph shows the middle of the three dwellings. It is interesting in that, to the right of the entrance – in the middle of the far wall – there is a square structure which is seen in many dwellings of this age. the internal measurements of this are about 1metre. It’s purpose is not known, but in other dwellings, including the other adjacent building, they are usually in one of the corners. All have associated byres and animal enclosures. Maps courtesy National Library of Scotland – here. 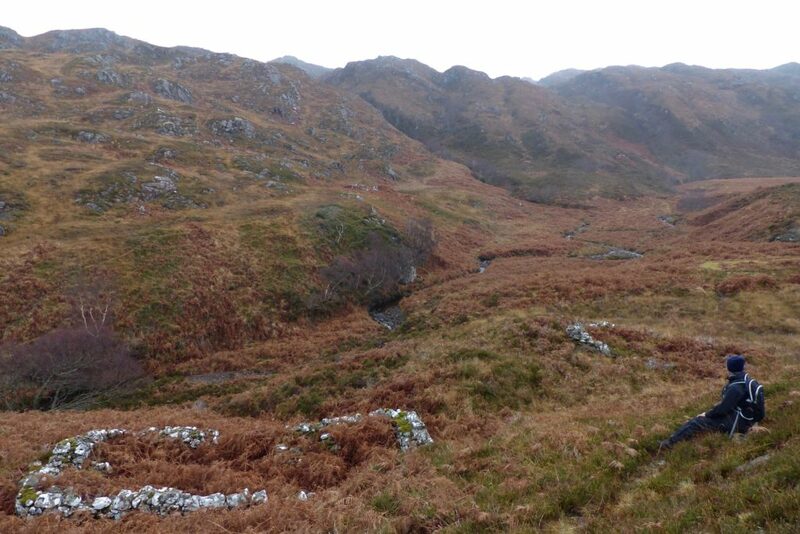 JE Kirby, ‘The Lost Place-Names of Ardnamurchna & Moidart’.